We ride out of LOVE, so others can LIVE. Let’s end AIDS. Together. On June 2-8, 2019, thousands of volunteers and cyclists of all backgrounds and fitness levels will ride 545 miles down the California Coast in the most challenging journey of their lives. Why? To raise awareness to end the stigma surrounding HIV/AIDS. To champion health and human rights in the LGBT Community. To bring life-saving medical and social services to people living with HIV/AIDS or at risk of infection. To honor those who have passed from AIDS-related causes. To grow our community of activists, volunteers, and ambassadors. 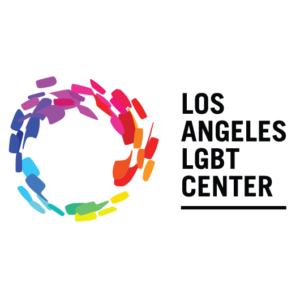 Proceeds directly benefit the Los Angeles LGBT Center and San Francisco AIDS Foundation in continuing their work. Read more about these two incredible beneficiaries here. Together, we help those in need LIVE longer, healthier lives. United in our common goals, we can achieve so much. Last year alone, we helped San Francisco AIDS Foundation and the Los Angeles LGBT Center. Our Cyclists have guts, dedication, and strength. They ride the 545 miles from SF to LA and fundraise a minimum of $3K throughout the year. You’ll be paired with a Cyclist Representative who will support your training and fundraising every pedal stroke of the way, no matter your fitness level or fundraising experience. Roadies are the all-volunteer force behind AIDS/LifeCycle. They support our Cyclists on the road from SF to LA, doing everything from hauling gear and setting up camp to acting as a cheering squad when our Cyclists need it most. Our Roadie Community brings the energy and the heart to the Ride — and they have a whole lotta fun while doing it. Virtual Cyclists are the unseen heroes of AIDS/LifeCycle, fundraising throughout the year even though they don't do the Ride itself. They receive all of the same fundraising tools as our Cyclists and Roadies, including a customized web page, a Participant Center to send emails and thank you notes, and a Cyclist Representative to support their goals. Zip Code Please enter your zip code. We ride out of love, so many can live. Let’s end AIDS. Together. Join thousands of cyclists and volunteers June 2-8, 2019 on a 545 mile journey down the California Coast. Together, we will change lives by raising funds for lifesaving medical and social services for people living with HIV/AIDS or at risk of infection. Together, over the course of seven days and 545 miles, we’ll hear each other’s stories and lift each other up. We’ll laugh together, cry together, and find reserves of strength in each other and ourselves we didn’t know were there. We know you can do it. Join us today. Provide your information and we will contact you with more information about AIDS/LifeCycle! Together, we bring the LOVE to AIDS/LifeCycle. Over the course of seven days, we’ll hear each other’s stories and lift each other up. We’ll laugh together, cry together, and find reserves of strength in each other and ourselves we didn’t know were there.